Groundworks Lawrence has been working to open up Lawrence’s greenspaces and link them by reclaiming the banks of the Spicket River. They expect to complete this lovely green necklace in the fall of 2009 with a park at Stevens Pond, adjacent to the Malden Mills/Polartec facility. 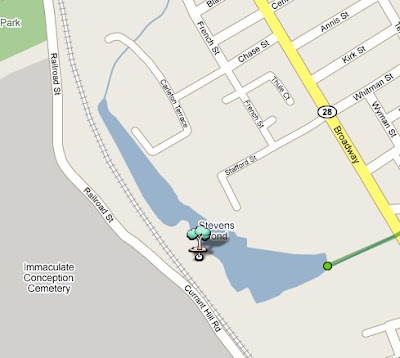 This of course is conveniently where the southern end of the Methuen rail right of way begins. 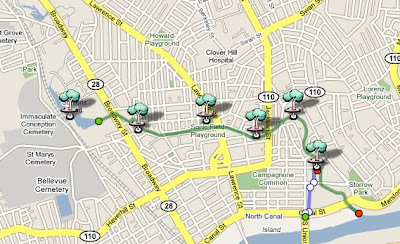 Methuen’s Rail Trail would link the New Hampshire trails to Lawrence’s greenway, and hopefully across the river to points south.